We practiced our yoga moves, raced through an obstacle course and got some running tips from Mrs. McCarley to celebrate the end of our exercise study! Grandparent’s Day was a huge success. The PreK class did an awesome job performing songs and poems and I enjoyed meeting and seeing all the grandparents in our classroom! Sprinkles, the tooth fairy, paid a visit to our classroom, and talked to the students about the importance of taking care of their teeth. She showed them how they should brush, how many times a day to brush, and how many minutes they should be brushing. She also talked to them about what kinds of food and drinks help to make healthy teeth. Lastly, she sprinkled them all with fairy dust. We had show and tell and the students had to bring an item that started with the letter A. I love show and tell because it allows the children to participate cooperatively and constructively in a group situation. Functioning as a member of a group requires an understanding of the feelings and rights of others and the ability to balance personal needs and desires with those of other people. Being a productive member of a group involves complex interactions. Children must gradually learn to cooperate, negotiate, lead and follow, and express their feelings and ideas in socially acceptable ways. 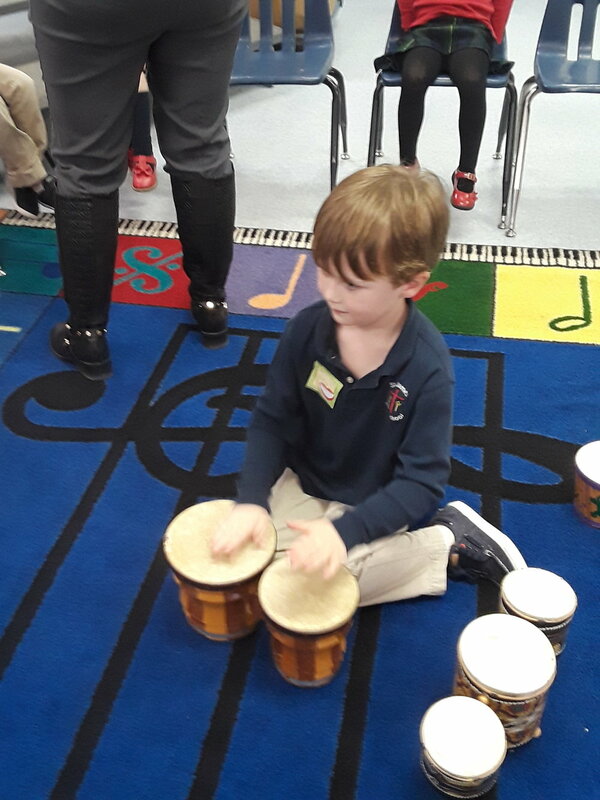 Mrs. Tipton, pulled out the bongos in music class for the children to inspect and play. They learned that they are part of the percussion family. 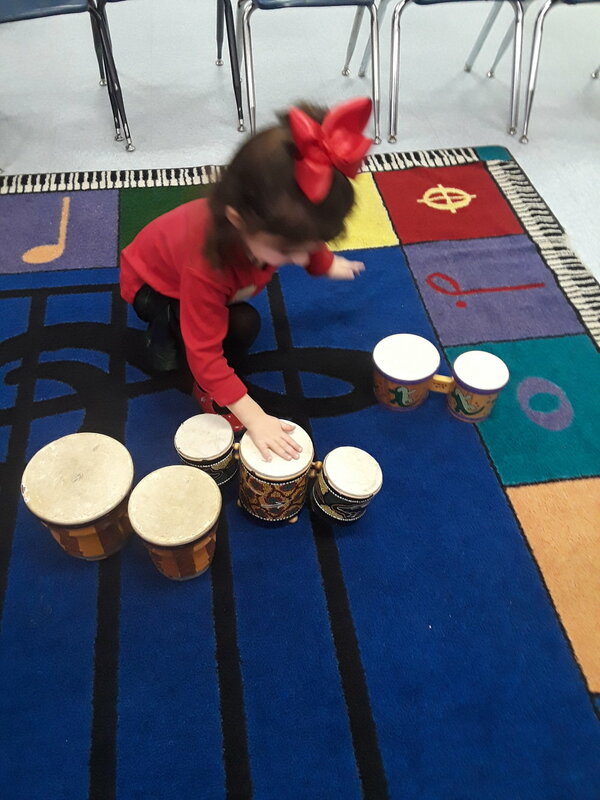 Children learn to appreciate different kinds of music by exploring musical instruments. 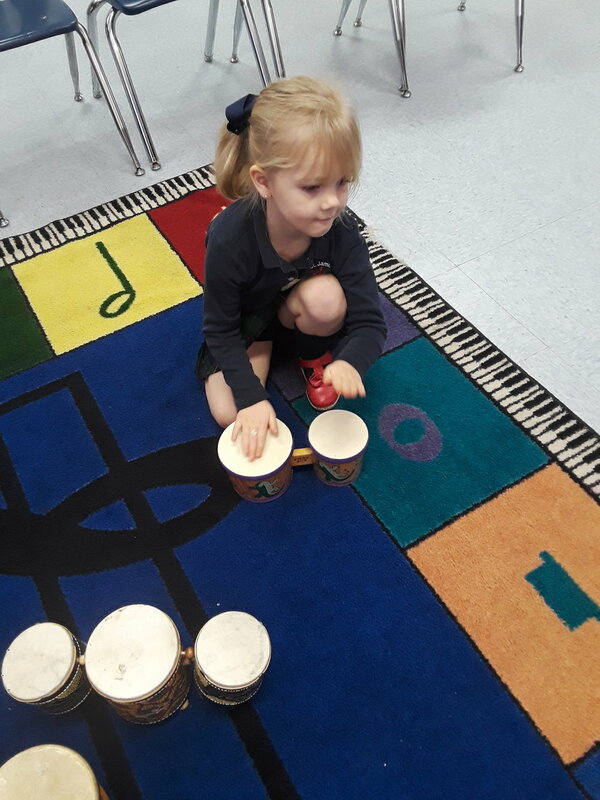 Music can affect children’s literacy development and academic performance.